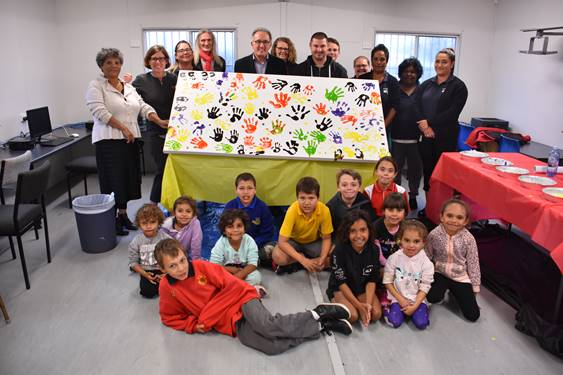 Visitors to the Linking Together Centre braved the wind and rain on Friday, 31 August to have a look at the upgraded Homework Centre, which is pretty special, thanks to a generous grant from the NSW Social Housing Community Infrastructure Fund. Thanks to everybody who came along, and all the handprint artists who took part in making the unique painting to mark the day! Checkout the article on the Inverell Times website below!